Grew up with Valencia CB (Spain) juniors. Made his debut with Valencia CB Main team during the 2008-09 season, also playing with Valencia 2nd team. Played with both teams also in the 2009-10 championship. Moved to Belgium for the 2010-11 season, signed by Verviers-Pepinster. Signed for the 2012-13 season by Brooklyn Ntes. Also played with Springfield Armos, NBDL. Played wth both teams till January'14. Signed by Chicago Bull in January'14. Won the 2010 EuroCup with CB Valencia. Named 2017-18 EuroLeague March MVP. 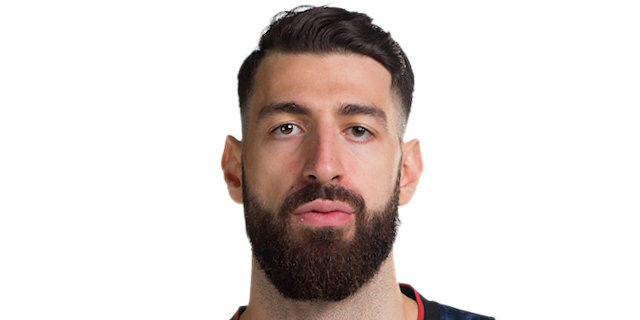 Named 2017-18 EuroLeague Round 14 and 24 MVP. Has been member of the Georgian U-16, U-18 and U-20 National Team. Played at the 2008 European U-18 ‘B' Championship. Played at he 2009, 2010 and 2011 European U-20 ‘B' Championships.